For spouses, children, and other family members who care for aging or disabled adults, providing the level of care your loved one needs on a daily basis can easily leave you feeling overwhelmed. Fortunately, New York has an abundance of caregiver services available in the community. Through Medicaid planning and other resources, you can ensure your loved one’s physical, emotional, and social needs are met, without depleting your own health or your financial resources. Instead of depleting your life savings in paying for advanced care needs, Medicaid can help offset these costs. To meet income guidelines for the program, our Medicaid planning attorneys can assist you in establishing a trust. This allows your loved one to remain in control of their assets and to receive money for monthly expenses, while still qualifying for benefits. Information and help with obtaining assistive devices, health equipment, supplies, and personal emergency response systems. Assistance in locating and accessing the full range of benefits available within your community and the NYC area. Getting some support and relief from the responsibility of caring for a family member while you attend to your own needs and obligations can help to protect your physical and emotional health, while ensuring they receive the quality of care they need. If you are struggling with meeting the demands of caring for a loved one on your own or have questions about how to provide for nursing home care and other adult services, contact the offices of Cavallo & Cavallo. 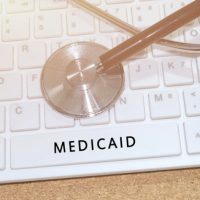 We can schedule a free consultation with our Medicaid planning attorney in our Bronx or New Rochelle office to discuss some of the options available in your situation. Call or contact our office online today to see how we can help.